It’s finally here… opening day of the 2015 New Albany Farmer’s Market! We will be located on Bank Street… between Main and Spring Streets in beautiful downtown New Albany. Remember we are under construction, but there will be ample parking located at and around the market. We are so excited to begin the growing season. Kenny has been plowing, tilling and planting every day for weeks now, things are looking wonderful. He has almost everything in the ground except the eggplants (they are taking their sweet time growing.) It won’t be long before the strawberries will be ready! This week we will be taking orders for the greens we have available… spinach, kale and mixed baby lettuce. 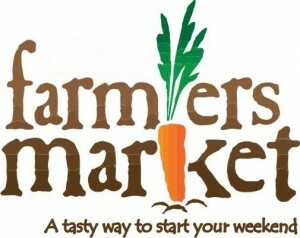 Kenny will also have asparagus, rhubarb, radishes and maybe more green onions this week. Just a reminder that we have been selling out early… so come early or pre-order to make sure you get the items you need. We will have plenty of fresh herbs and garden plants available this weekend… basil, dill, parsley, cilantro, oregano, thyme, sage, Stevia and rosemary. Kenny also has a nice variety of heirloom tomatoes, red tomatoes and peppers. Don’t forget to pick up your farm-fresh, free-range eggs at the market.